Clark Park Advisory Council exists to promote the maintenance of Clark Park and adjacent properties as green space, various types of arboretums and gardens, protect wildlife habitat, and public recreational area stressing a natural river front, wild bird and flower sanctuary, and a protected low density natural space for the use of the public in sports and other pursuits requiring large open green space as part of the mix of the park. Visit our Facebook page for the latest news. 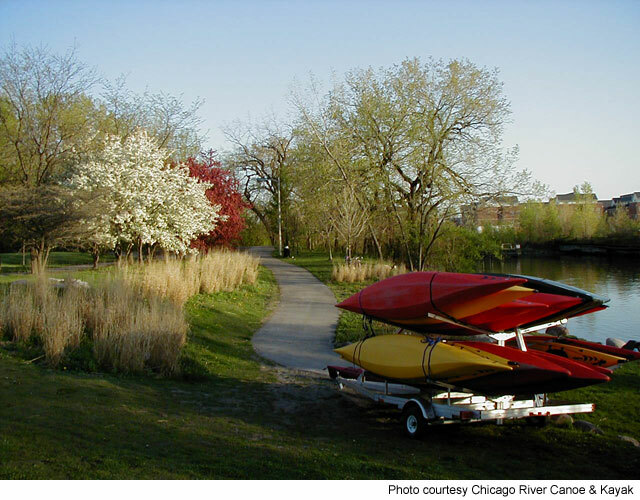 Richard Clark Park comprises nearly nineteen acres of green space along the east bank of the Chicago River in the North Center neighborhood. Situated adjacent to DeVry University and Lane Technical High School, Clark Park provides Lane students room to practice football, baseball and field hockey. Dog walkers and bird watchers enjoy their pursuits in a convenient locations. The park's soccer fields and bike trails sit on land once occupied by the fondly-remembered Riverview Amusement Park. Riverview, created in 1904 on the site of a former German hunting preserve, was for a time the world's largest amusement park, with a massive roller coaster, a double Ferris wheel, a tunnel of love, a water slide, a parachute drop, and carnival games of skill and chance, among many other things. 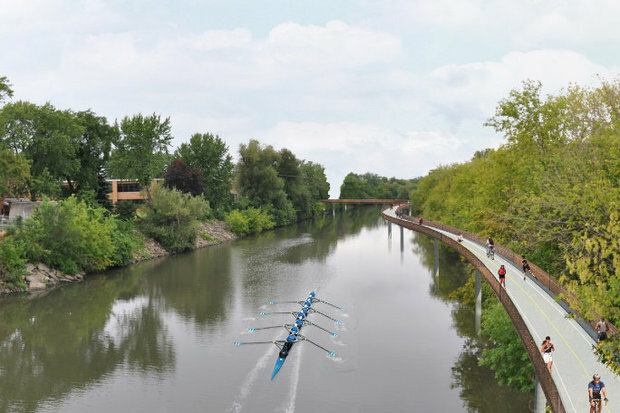 bike path from Belmont to Montrose?